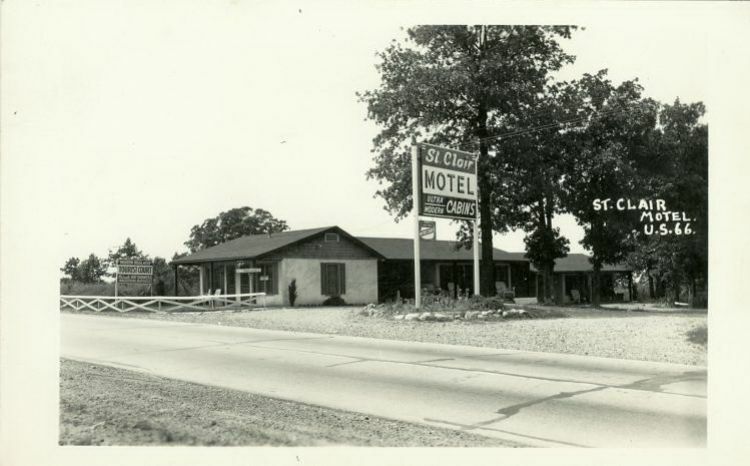 The St. Clair Motel was built in the early 1940's, and is still standing. Postcards show it has been operated at various times by Mr. and Mrs. Pet Krifks, Mr. and Mrs. Fred and Mary Leen, Faye Hermling, and Walter and Kitty Crumbacker. The Krifkas hoped the card carried "good news of a pleasant and restful pause in a happy journey".